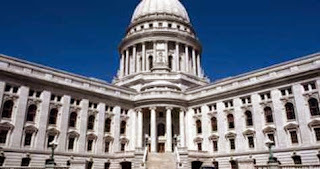 The Journal Sentinel reports that at a press conference, Wisconsin’s Republican governor, Scott Walker, expressed disagreement with the resolution. "I don't think that one aligns with where most Republican officials are in the state of Wisconsin — certainly not with me," Walker reportedly said at Friday’s press event. 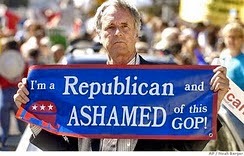 Secession is an extreme response, however, to the repeated federal abuses of power correctly identified and opposed by some Republicans in Wisconsin. The most effective weapon in the war against federal overreach is nullification. Nullification recognizes that states (or counties, cities, or other local entities) possess the right to invalidate any federal measure that exceeds the few and defined powers allowed the federal government as enumerated in the U.S. Constitution. States (and their legal subdivisions) retain the right to act as arbiters of the constitutionality of federal acts because they formed the union, and as creators of the compact, they hold ultimate authority as to the limits of the power of the central government to enact laws that are applicable to the states and the citizens thereof. Despite criticism by those who advocate for a more powerful federal government, nullification would not lead to anarchy, as it is only unconstitutional federal acts that will be subject to state invalidation. The relationship between nullification and secession can be better illustrated by analogy from contract law. First, it is a well settled principle of Anglo-American law that parties to a contract may rightfully seek remedies if another party is in breach of the agreed-upon terms. One such remedy available to an aggrieved party is to require that the party in breach amend his behavior to conform to the terms of the contract. The aggrieved party may point to the violated provisions of the contract and remind the offending party of the obligations undertaken in the contract. This reasonable approach is analogous to nullification. As the aggrieved parties, the states (or a single state) may remind the federal government of its repeated violations of key terms of the original agreement and demand that it cease such excesses and that it restrain itself according to the mutually approved contractual rights and responsibilities. Despite the reasonableness of this recourse, states have been reluctant to take this intermediate step toward forcing the feds back within the proper boundaries of their power. There is, of course, another more aggressive contractual remedy available in the body of contract law. If one party to the contract suffers consistent breaches of a contract, he may seek rescission of the entire agreement. Rescission is defined as the cancellation of a contract and is typically followed by restitution. Restitution is the return of the parties to their pre-contractual position — the position they were in prior to entering into the contract relationship. Whereas the first remedy is analogous to nullification, rescission is comparable to secession. States, as aggrieved parties, are safely within their long-established rights in common law to abandon the union and reassume the full panoply of powers and privileges they earlier ceded to the general government in the contract (the Constitution). The newly-separated states would be once again free to remain independent republics or to enter into another contractual relationship (confederacy) with one or more states similarly separated from the union they once formed a part of. 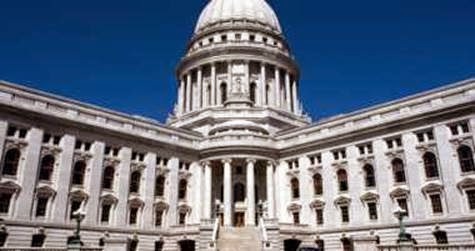 While this path is open to the states, as evidenced by the resolution recently passed by a committee of the Wisconsin Republican Party, it isn’t always necessary. Truthfully, no one who has witnessed the repeated violations of the original compact by the federal government would blame the states for severing the ties that bind them to federal tyrant. That said, there are yet millions of Americans who recognize the genius of the Constitution and earnestly want it to succeed, not only just for the sake of political stability, but for the sake of demonstrating the deference to the founding generation who took the time to distill the wisdom of ages into that unique document. To sum up, should a state or states decide not to continue silently suffering constant breaches of that agreement by one of the other parties or by the agents of the general government created by it, they may lawfully demand a halt to the offending behavior and a performance by the breaching party of its contractual obligations. If the breaches are significant enough, however, the states may demand rescission of the entire contract and return to their pre-contractual position. And remember, there is no requirement that the states expressly retain this right of rescission in the agreement; it is available as an independent operation of law. Clearly, according to the expositors of the law of nations, that a breach of any one article, by any one party, leaves all other parties at liberty to consider the whole convention to be dissolved, unless they choose rather to compel the delinquent party to repair the breach. Congress is full of lawyers. Many presidents are lawyers. All federal judges are lawyers. Yet somehow when it comes to the relationship between the federal government and the states, they conveniently forget the basic principles of contract and agency law that are understood by second-year law students.